Hot on the heels of its $555 million acquisition of Dropcam, Nest is announcing plans to work with a variety of products, including LIFX light bulbs, the MyQ garage opener from Chamberlain, Logitech’s universal remote, Jawbone and Google’s voice controls. The news is an expected expansion of the Nest platform, which had originally planned to open its API at the beginning of this year until it was purchased by Google for $3.2 billion in January. Along with the news of the developer program, Google Ventures and Kleiner Perkins Caufield & Byers will lead the Thoughtful Things Fund to provide developers an opportunity to “secure the support and visibility necessary for getting projects off the ground.” I have no idea what this means in practice, but I assume there will be some small amount of funding coming out of an existing fund from Kleiner and whatever monies Google Ventures has that it will market as available for internet of things products that work with Nest. With the Nest application programming interfaces (API), all developers – from global corporations and small companies to startups and tinkerers – can access Home and Away states, smoke and CO alerts, and peak energy rush hour events to build interesting and meaningful integrations while maintaining control of their own user experiences. In all instances, Nest customers must authorize a connection before any data is shared. 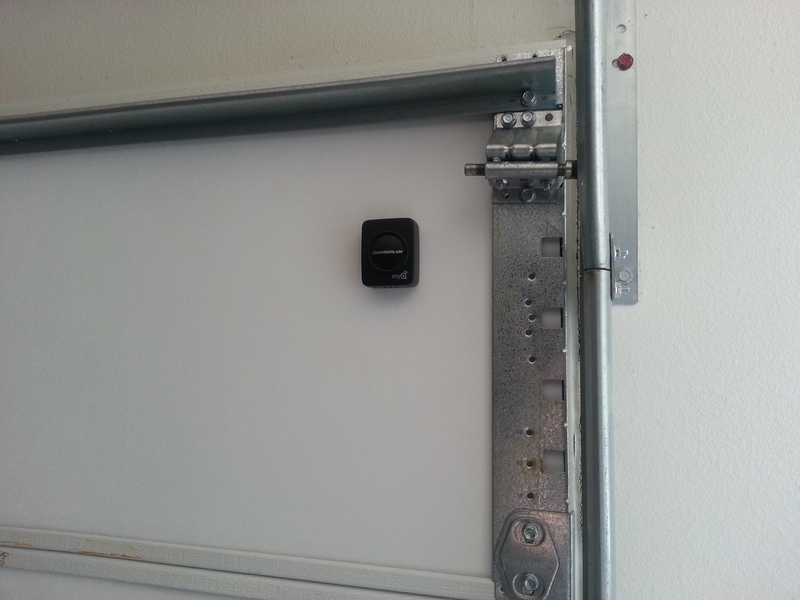 The MyQ sensor on my garage door. Chamberlain – We discussed this on today’s podcast, but coming in fall, users of Chamberlain’s MyQ garage door system will be able to use their garage door to trigger the away mode on their thermostats. IFTTT – Starting today you can hook your Nest to If This Then That and link your thermostat or Nest Protect to a variety of web or physical objects. Jawbone – Also starting today, you can use the Jawbone fitness tracker to let your Nest know when you want to start cooling the house down in preparation for going to bed or waking up. LIFX – If you happen to have a Nest Protect and LIFX connected bulbs then those bulbs could flash when the smoke alarm goes off. If the thermostat is in away mode, one might set those same bulbs to randomly tun on and off to make it look like a person is home. LIFX LED bulb controlled by a smartphone. 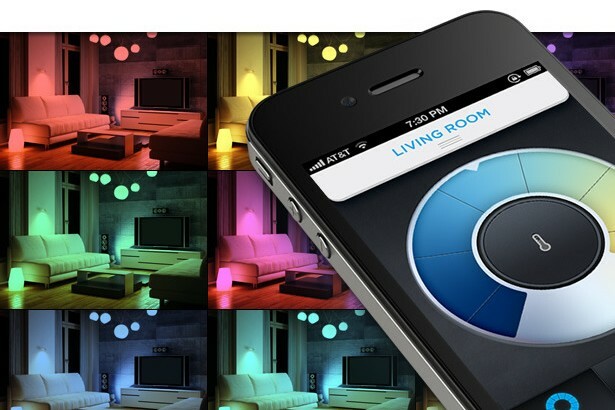 Logitech – This pairing uses the Logitech Harmony Ultimate universal remote to control your thermostat. You know, in case your voice isn’t available. Mercedes-Benz – If Google Now doesn’t tip off your thermostat that you’re on your way home, your Mercedes can take on the job. Plus, this feature is available today, while the Now feature won’t be out until fall. Whirlpool – This one is awesome, mostly because it allows the most energy-intensive appliance in your home to link back to any demand-response program that your utility might offer. If you volunteer to cut your power on days the grid is overloaded and do so through your Nest, you can link a connected Whirlpool washer and dryer to the Nest and it will delay your washing start time so you don’t use energy during those peak times. It should take only a few more algorithms plus real-time pricing info from the utility to start letting you wash your clothes when it’s cheapest. The links to Nest will rely on OAuth2.0 and will require the customer to approve permissions associated with linking each device to the Nest. Interestingly, Nest won’t let developers keep more than 10 trailing days of data associated with the connection. It’s been a long wait for the Nest API, and there are certainly some elements here that are worth digging into. In a podcast published today, I spent time asking Cory Sorise, the head of product integration for connected products at Chamberlain, about the tensions between offering a product and a service. For example, does he view it as a problem that Chamberlain doesn’t control the app experience? He said that the end goal for Chamberlain is to provide what the customer wants; which feels like a dodge, but is also true. Some customers will want to connect to the Chamberlain app, while others will rather link it to their Nest and try to control it there. Others might want to use Siri and Apple’s HomeKit (Chamberlain is a HomeKit participant as well). The truth is one person may elect to use all of these depending on where she is and what gadget she has in her hands. And that’s a core truth that developers and consumers will have to realize about the smart home. Openness is the ultimate goal because that will give the user the most flexibility. The trick will be managing the complexity that openness creates via apps and recommendations. 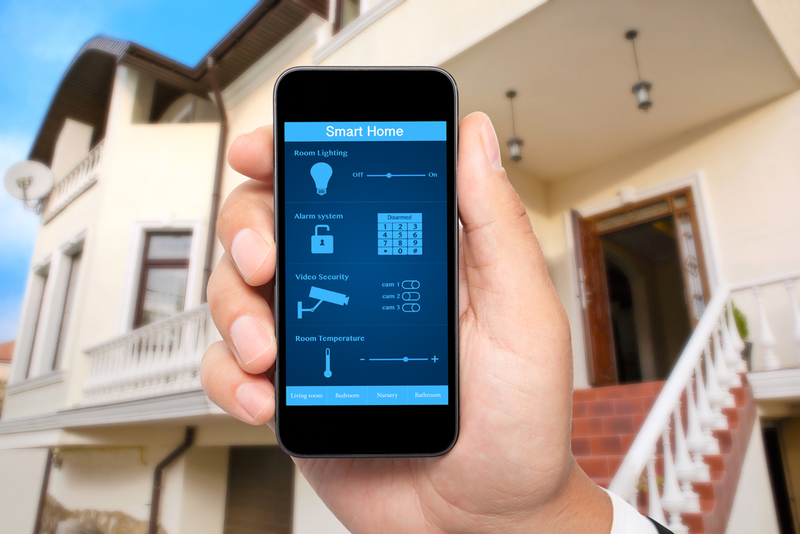 So instead of another smart hub or device, the real opportunity for the smart home is in the artificial intelligence and recommendation engines that will show Nest owners a connected Whirlpool dryer and a rebate program from their utility that could save them money by toggling on a recipe that delays their dryer until the demand for power isn’t quite so high. Right now the focus is on taking away some of the complexity associated with so many standards and radios, but that problem is being solved. The next level of AI and recommendations wrapped in a good UI is where hot startups should be focusing their time. 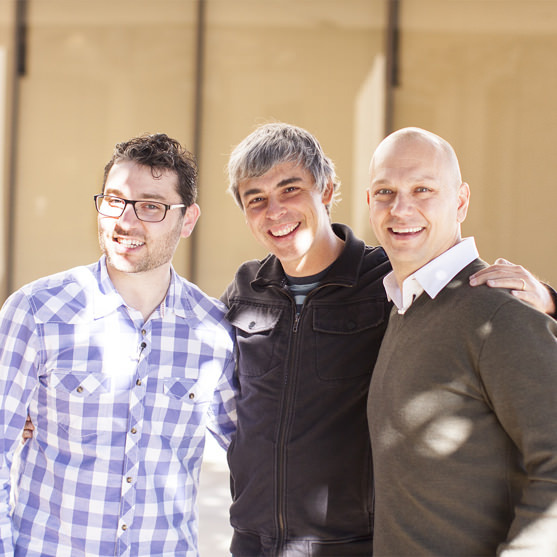 Maybe Kleiner or Google Ventures will find some cash for that type of thoughtful thing. They should be concerned about Nest integration with Apple HomeKit as not doing that will be a certain suiside for the NEST…. Umm, well that sounds great in theory, but what happens once there is mass adoption and the AI recipes all start turning the dryers on and off at the same time? Where will the power savings be when that happens? Will everyone have their laundry done in the middle of the night when power demand is low? Who is going to load / unload the laundry at 2 a.m., one of Google’s robots? a) Your application cannot store data that is more than 10 days old from the date of generation. Nest is quickly developing a bad rep for hackable home automation that makes anyone concerned for tight control in this low value environment question what the value proposition is for the wired home! Its bad enough that Terror Police can no knock bust my door down, I woudl rather they not have the capability to just pull out a scanner and a smart phone and unlock the door and walk right in. No thanks Nest, keep your crap. Do you have a sense if the Nest API draws from the Dropcam API? Deal hasn’t even been finalized yet, but seems like a no-brainer after it closes.